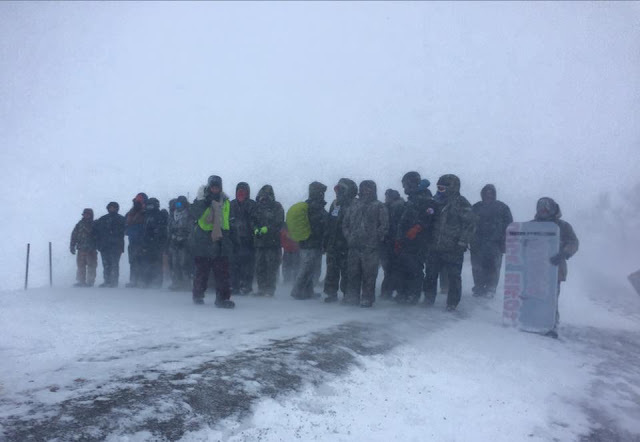 Standing Rock tribal leaders gathered indoors to honor and thank several thousand military veterans who traveled to North Dakota to oppose the Dakota Access Pipeline. 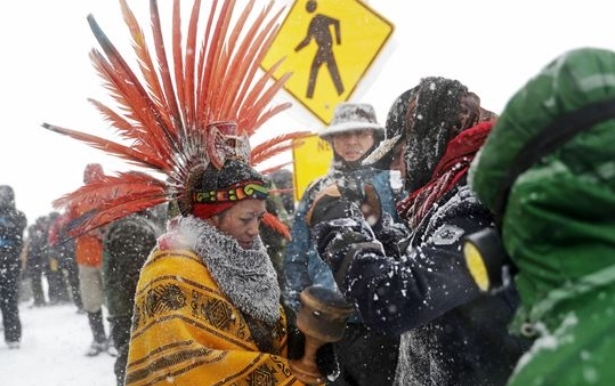 The vets, who traveled by foot, bus, car and plane to the area, gathered also to apologize to the tribe for the mistreatment Indians received from the government since the Pilgrims landed on Plymouth Island in 1620. Vets from Fort Belknap, Fort Peck and the Little Shell Tribe are among the thousands of vets gathered. Energy Transfer Partners, which is building the pipeline, said it will continue to push for the pipeline’s construction. 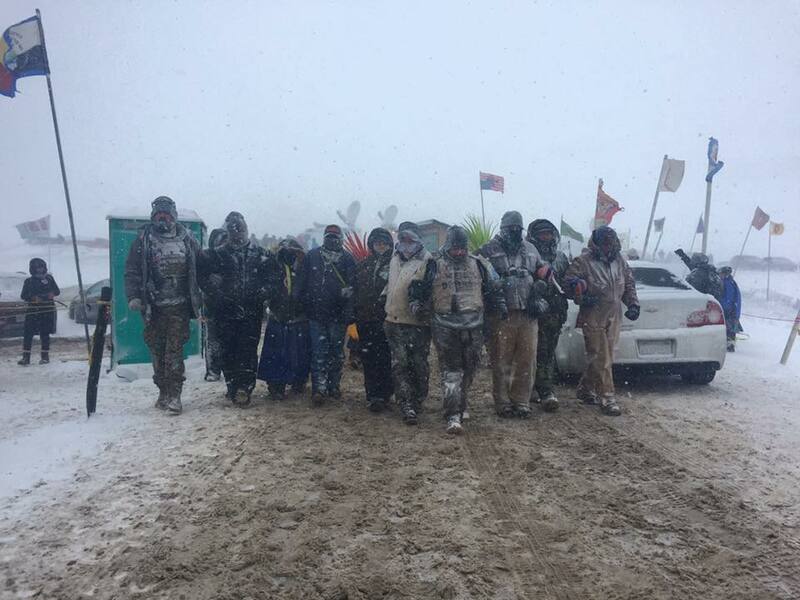 Tribal members were upbeat but cautious about the decision Monday and thanked all the veterans for coming to help. “We know DAPL will continue,” said tribal elder Phyllis Young, referring to an old prophecy that warned the Lakota Sioux about a huge black snake that would one day cross the land. 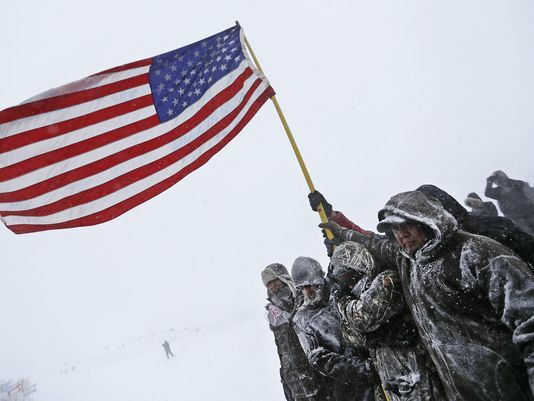 Arvol Looking Horse, a Lakota spiritual leader and keeper of the nation’s sacred pipe and bundle, told the veterans they helped make history with the tribe. 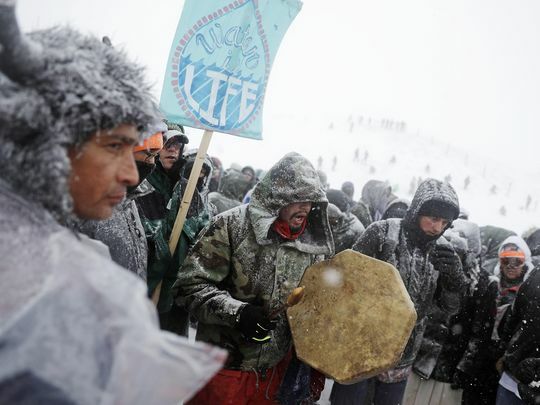 “This is the first time in more than 150 years that the Oceti Sakowin Camp has been set up,” he said. 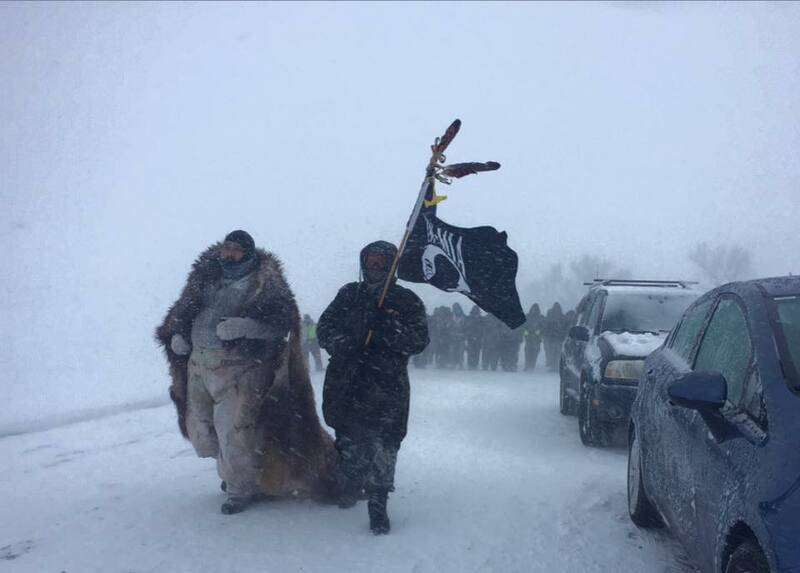 Oceti Sakowin refers to the Seven Council Fires or the seven bands of the Sioux Nation. “Thank you for coming and answering the call,” Looking Horse added. 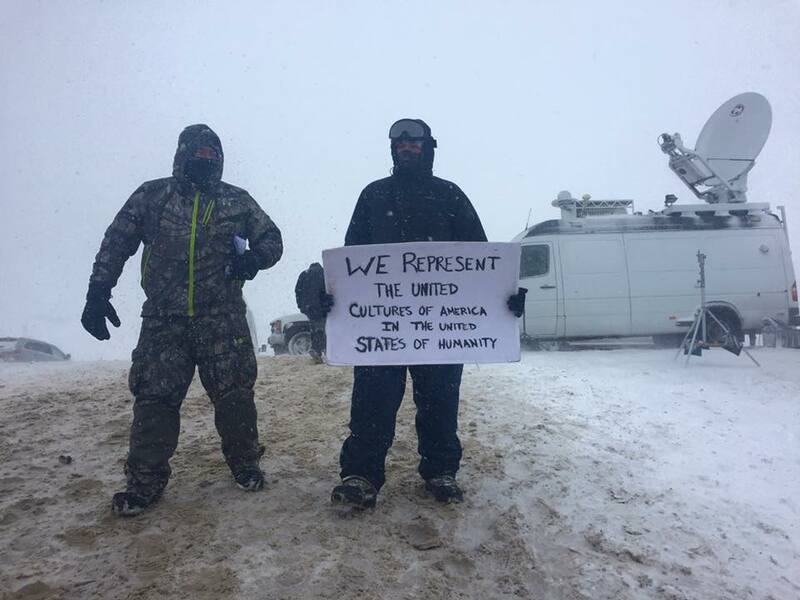 Responses to "Standing Rock tribal leaders and Water Protectors thank US Military Veterans"